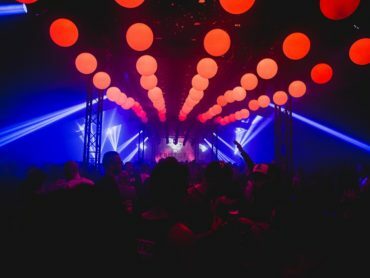 In 2017 Awakenings will celebrate its 20th anniversary. On Saturday, April 15 between 11am and 10pm, as part of the upcoming indoor edition from April 13 thru 16, for the first time a day program will be organised at the Gashouder on the Westergasfabriek terrain. Moreover, Monumental Productions together with publisher Mary Go Wild will publish an anniversary book for this occasion. Awakenings is the largest and best-known techno festival in the world. In April the threshold of 200 organised parties will be broken, representing over 2000 hours of partying. 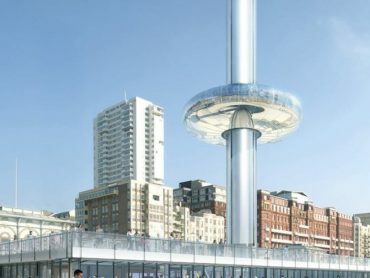 Moreover, a total number of 1.5 million visitors will have been welcomed. On Saturday, April 15 distinguished techno DJs will perform at the very first indoor day program ever. 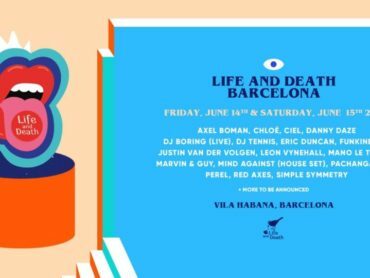 Joris Voorn, Ben Klock, Adam Beyer, Jeff Mills and Chris Liebing will take place behind the turntables. 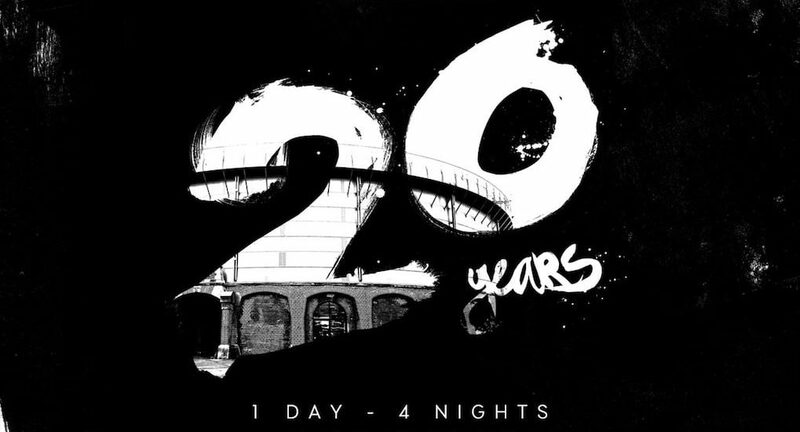 The day program doesn’t stand alone but is part of the Awakenings 20 Year Anniversary that will take place Thursday, April 13 thru Sunday, April 16. During the anniversary edition the book AWAKENINGS: 20 Years of Techno will see the light. It will be a so-called coffee table book containing the story of Awakenings from its early inception to the state of affairs now, illustrated by some fifty interviews with the greatest DJs in the world. Publisher Mary Go Wild (which earlier also published a book by the same name about 25 years of dance in the Netherlands and in 2016 launched a book about DJ Dano) has so far found among others Maceo Plex, Jeff Mills, Derrick May, Joris Voorn, Joseph Capriati, Nicole Moudaber, Adam Beyer, Secret Cinema, Pan-Pot, Len Faki, Ben Klock and Alan Fitzpatrick available for the interviews. The book will number over 500 pages, be 5 cm thick and weigh about 3 kilos. On April 13 between 10pm and 8:30am, the turntables will be reserved for Dimitri & Remy, Derrick May & Kevin Saunderson, Sven Vath, Pan-Pot and Nina Kraviz. April 14 will feature Skils & 2000andone, Adam Beyer & Joseph Capriati, Ben Klock & Marcel Dettmann. On April 15 the night program will start at 11:30 PM. The day program will be from 11 AM to 10 PM. In the evening Billy Nasty, DJ Rush, Dave Clarke, Chris Liebing and Jeff Mills will come to the Gashouder. The final night on April 16 between 10 PM and 9 AM will feature Lauhaus, Luciano, Seth Troxler, Ricardo Villalobos, Joris Voorn & Kolsch and Len Faki. Ticket sales have begun here. 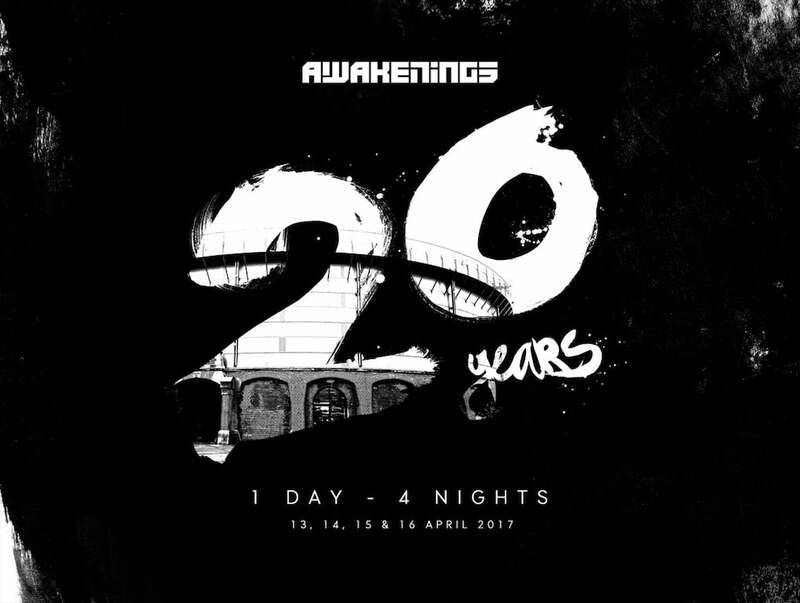 In April 2017, Awakenings turns 20 year! On April 13, 14, 15 & 16 we’ll throw 5 massive parties to celebrate this! For the first time, we’ll enter and tear up the Gashouder by day. This is history in the making. This daytime event will take place on April 15, from 11:00 to 22:00! On the first edition of our anniversary party marathon, we asked the very best of our old & new DJ-friends to provide a killer techno soundtrack to make us dance through the night. success guaranteed! 6 of our very best friends will provide special b2b sets on the the 200th edition of Awakenings in the Netherlands. This one will also be legendary! The lineup symbolises the greatest respect to these guys and our mutual history. Last and possibly the best: It’s an honour to close this weekend with these great musical curators who are also all very good friends!